The Dutch Design Generator with thousands of visitors attended. As part of the Beijing Design Week (BJDW), the Netherlands has been assigned its own building with 2200 m2 exhibition space. On the ground floor, the exhibition 'Liberation of Light' will be presented. Breathing Cloud was beaming in the huge hall and was the eye-catcher of the exhibition. Together with the Director of the BJDW, Aric Chen, the Dutch pavilion was officially opened on 26 September 2011. With 2200 m2 Dutch Design in the trendy 751 D•Park in Beijing, the Netherlands was the largest participating country. In the center of the thriving 751-D, was over 3 floors a mix of exhibitions, lectures and workshops to see. Including 'Liberation of Light', 'Connecting Concepts' and Next-City. It proved a hit with the public and the media, and resulted in thousands of visitors and reports of more than 50 local and international media. Breathing Cloud (BC) was the eye-catcher of the Dutch Design Generator. 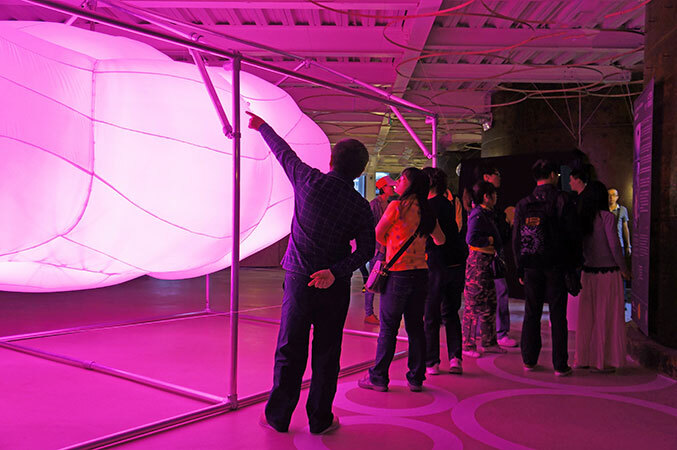 The installation spreads its huge pink light through space and seduces visitors BJDW closer to it. They let themselves be photographed frequently with BC and gestures with their hands to each other that the cloud 'lives'. 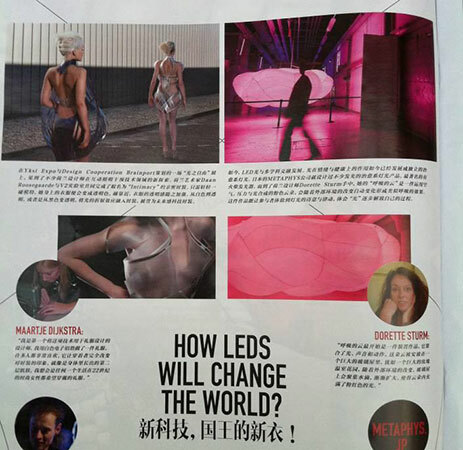 Breathing Cloud is very popular on Weibo (Chinees Twitter) let Aric Chen, director of the BJDW know the openning Liberation of Light. There is much positive response to the exhibition and the participants of Liberation of Light (a co-production of Yksi Design and Design Cooperation Brainport). The second staging of the traveling exhibition, Guangzhou (CN) of 9 till 11 december 2011.